One of my favorite things is receiving messages from people asking me to post specific things on my blog or social accounts. 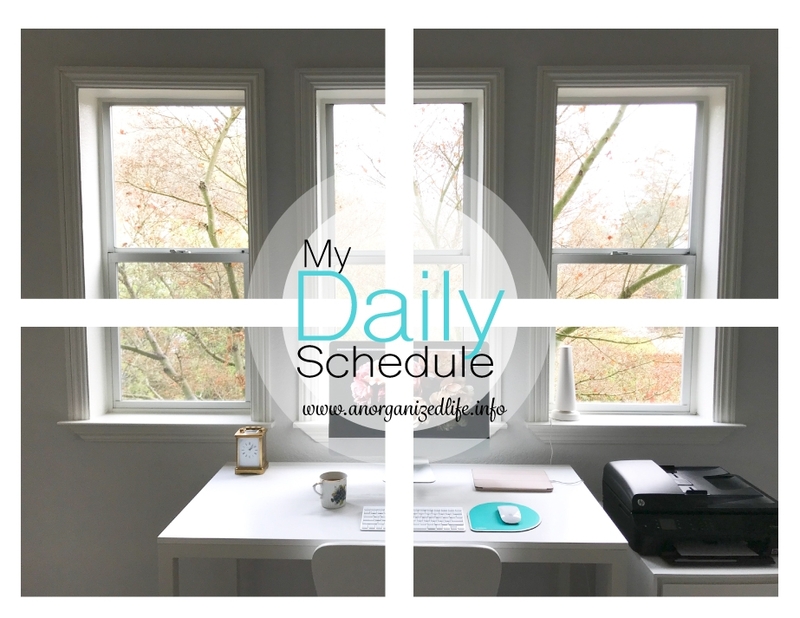 I've received so many requests to share my daily schedule that I thought I would go one step further today, and post my schedule on the blog but also do an Instagram story to follow me around for the day to see what a normal day looks like! If you're on Instagram check it out and let me know if you liked it! As I write this, Amelia is coming up to 20 months old (wow!). This is our current daily schedule which I stick pretty close to during my day as I find the more structure both Amelia and I have, the happier we are. Sickness hits our family - I put everyone in quarantine for at least 1 day as we start the process of fighting off infection. I cancel all activities including play dates, scheduled activities and casual coffee times and bring everyone inward. Amelia and I spend a lot of time doing free play, exploring her toys and her surroundings, doing sensory play and (if worse comes to worse) watching "Daniel, the Tiger". Family or friends are visiting - When family or friends are visiting out of town, we try to spend as much time as possible with them before they have to head back. A lot of the time they will join us on our daily schedule and take part in our activities (unless activities are cancelled like at Christmas!). Once a week I have our trusted babysitter come in for 3 hours so I can run errands. I do all errands during this time frame (groceries, dry cleaning, mailing packages etc.) and I try to take a 30 - 60 minute break for myself. We have no family in the area (Were in California and family is in Ontario, Canada and England) so we needed to outsource. If the schedule gets thrown off by 30 or 60 minutes I don't stress it. I simply omit or adjust a certain block of time to suit our needs for that day. Sometimes Amelia sleeps until 8:00AM. This, I treat as a gift and spend that time doing whatever my heart desires. Amelia's nap time is MY time. I schedule nothing during this time block, make no plans with friends, make phone calls, or have anyone over. I treat this two hour space as sacred. Having this time allocated to just myself and my to-do list is the key to how I organize myself and my household. How do you schedule your day? Have you tried time blocking? Or do you prefer to see where the wind takes you on each individual day?